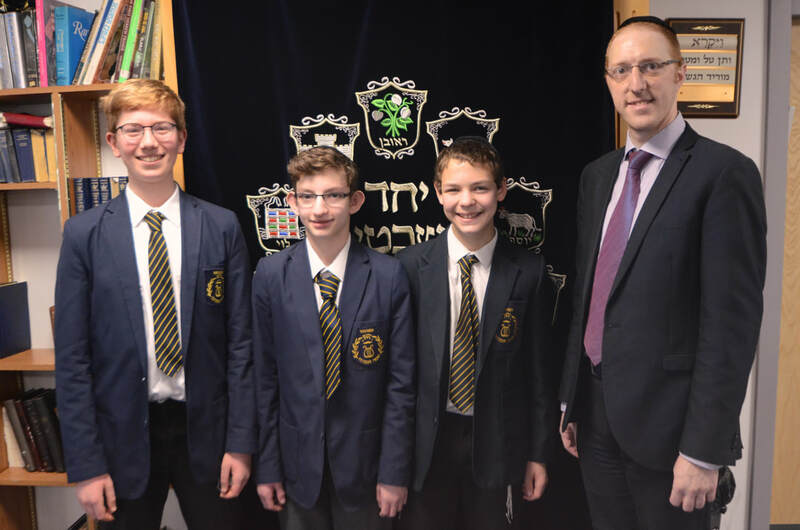 We are pleased to announce that a team from Yavneh Boys will represent Great Britain at the Chidon Hatanch, the International Bible Quiz, in Jerusalem. Many congratulations to (L-R) Year 9s Joseph Seitler, Aryeh Shapiro and Sholly Cohen. Also pictured the campus Chidon co-ordinator, Rabbi Chaim Cohen.